Why See Colorado Music Hall of Fame Induction Concert? The Colorado Music Hall of Fame presents its latest induction ceremony this December. 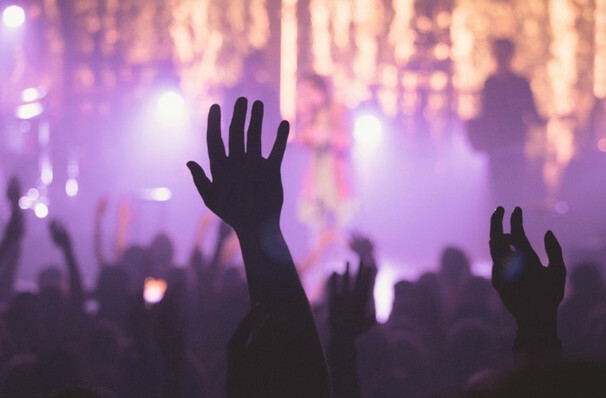 This show focuses on Colorado's music champions, with the iconic Chuck Morris and KBCO 97.3 FM being inducted into the hall of fame this year. This years ceremony will also feature performances from The Lumineers and Amos Lee. Although born in New York event promoter Chuck Morris has become a Colorado legend over the course of his career. Initially moving to Boulder to get his PH.D in Political Science, Morris chucked it in in favor of becoming the manager of Boulder's legendary student bar, the Sink. From there he started booking bands and artists (some of which are now Colorado Music Hall of Fame inductees themselves), with payment ranging from a keg of beer to $100 a night. Some of Morris' booking include the Eagles and the Doobie Brothers. Joining forces with Barry Fey Chuck has become one of states biggest and best music promoter, making him a true music champion! Sound good to you? Share this page on social media and let your friends know about Colorado Music Hall of Fame Induction Concert at Paramount Theater. 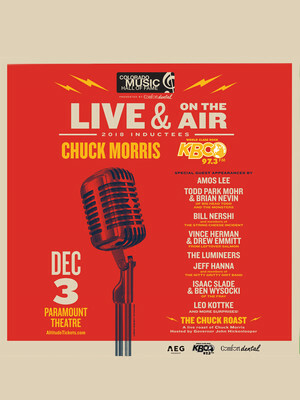 Please note: The term Paramount Theater and/or Colorado Music Hall of Fame Induction Concert as well as all associated graphics, logos, and/or other trademarks, tradenames or copyrights are the property of the Paramount Theater and/or Colorado Music Hall of Fame Induction Concert and are used herein for factual descriptive purposes only. We are in no way associated with or authorized by the Paramount Theater and/or Colorado Music Hall of Fame Induction Concert and neither that entity nor any of its affiliates have licensed or endorsed us to sell tickets, goods and or services in conjunction with their events.